The senator’s campaign dismisses his standing in the polls (Booker is hovering around 3 to 5 percent) and the modest fundraising haul (coming in right now at about $ 5 million). Not only is it early in the primary, aides say, they are putting their energy into what’s important at the moment: the campaign has already held more than 60 events, and continues to build out robust organizing efforts in key states like Iowa, New Hampshire and Nevada. Booker’s remarks, which ran for more than 30 minutes, were peppered with policy ideas and even a few sharp attacks on President Donald Trump. 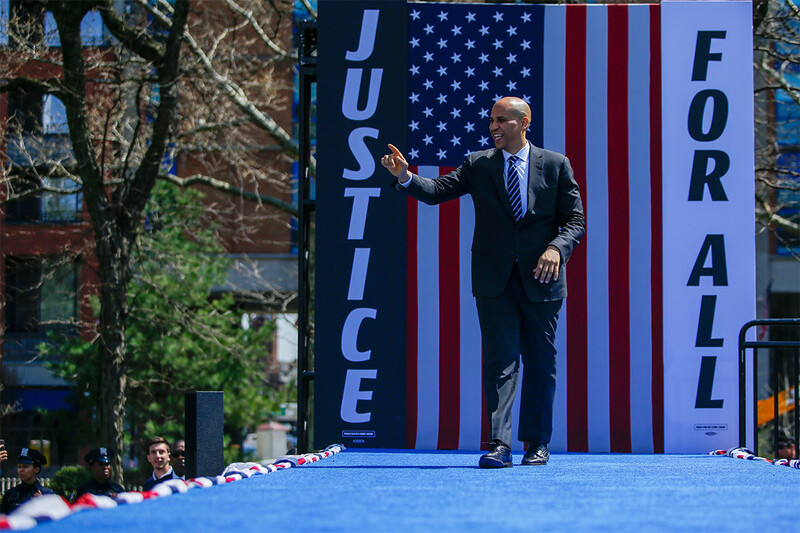 As for policy, Booker tied together many of the campaign’s already existing themes: fully funding public schools, passing comprehensive immigration reform, fighting for Medicare for All, and using the federal government’s bargaining power to lower the cost of prescription drugs. Booker also highlighted his proposal that he says will help to close the racial wealth gap. He wants to create a federally funded savings account for every child born in America, in which kids from lower-income families would see larger benefits. They accrue up to nearly $ 50,000 to help pay for college or put a down payment on a home. Booker, hewing to a familiar personal theme, said that a campaign fueled by love can still win.